BAYTOWN, TX – Statistics show that suicide is the second-leading cause of death among college students, yet many don’t know about mental health and are unable to recognize the signs of anxiety, depression, eating disorders and other mental illnesses. The first-ever Mental Health and Suicide Awareness Week at Lee College is an effort to change that through events and activities that explore the symptoms, risk factors and treatments for mental illnesses; break down stigmas and misconceptions; and connect participants to available and affordable local resources. All events are free and open to the public. “We want people to talk about mental illness as freely as they would talk about a broken bone or another physical health concern,” said Anajery Valadez, an academic advisor in the Lee College Counseling Center and co-organizer for the week. Houston improv teams will use laughter and humor to help break down the barriers that stop people from talking about mental health and suicide. A discussion will follow the show. Pizza and refreshments will be served. Several local organizations that advocate for mental health and those living with a mental illness will be part of the fair, which will highlight low-cost mental health services available in the community. Student clubs and organizations will also be on hand to provide information about on-campus resources and ways to stay mentally and physically healthy. The Harris Center for Mental Health and IDD will provide an overview of suicide and suicidal behavior, including risk and protective factors. Participants will be trained to gather more information about a person at risk of suicide and take action. Pizza and refreshments will be served. Presenters from the National Alliance of Mental Illness Houston will give personal accounts of living with mental illness — from their initial diagnosis and darkest days, to receiving treatment and developing coping skills and future goals — and share what long-term recovery looks like. Pizza and refreshments will be served. The Depression and Bipolar Support Alliance of Houston will talk about depression and bipolar disorders, confronting social stigma and advocating for the rights of people living with mental disorders. Presenters will also share information about free and local support groups that help individuals, family members and friends understand these difficult yet treatable mental disorders. Pizza and refreshments will be served. This documentary encourages students to be mindful of the state of their mental health, recognize when they are struggling and take steps to seek health. A group discussion about the film will be held after the screening. Pizza and refreshments will be served. In this interactive workshop, participants will discuss ways to cope with daily stressors that can affect mental health and the importance of emotional self-care. Light refreshments will be served. The ninth annual Lee College Health Fair is set for Tuesday, March 28, 2017, with free and open admission for the entire community. Participants can receive screenings and information from more than 70 local vendors about improving overall health and wellness. BAYTOWN, TX – Lee College invites the community to attend next week the ninth annual Health Fair, where participants can receive free screenings and wellness information from more than 70 local businesses about creating a healthier lifestyle for themselves and their families. 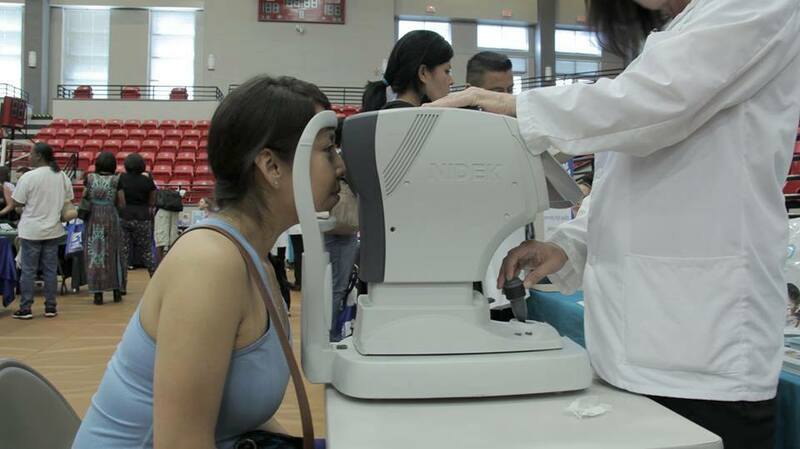 The Lee College Health Fair is set for 1-4 p.m., Tuesday, March 28, in the Sports Arena on campus. The event is free and open to the public, and regularly draws hundreds of attendees who come away with expert guidance and advice about improving their physical and mental well-being. Vendors scheduled to attend the Health Fair include a wide range of medical facilities and clinics, vision and dental offices, fitness and recreation centers, and community and government organizations. Blood pressure readings, blood typing, body fat percentage measurement, chiropractic evaluation and dental checks are among the free screenings that will be available to all participants. For more information about the ninth annual Lee College Health Fair, contact Summers at 281.425.6439 or jsummers@lee.edu. The Lee College Center for Workforce and Community Development is now accepting students into fast-track healthcare programs that can lead to rewarding and in-demand careers in the medical field in as little as 6-10 weeks. Three of the workforce center’s healthcare programs will begin in the next two months: Clinical Medical Assistant (CMA), which starts Tuesday, Sept. 29; Certified Nurse Aid (CNA), which starts Monday, Oct. 12; and Dental Assistant (DA), which starts Tuesday, Oct. 13. Classes are filling quickly, so prospective students are advised to register as soon as possible. Clinical medical assistants perform routine tasks to keep the offices of physicians, podiatrists, chiropractors and optometrists running smoothly. Students in the CMA program complete 140 hours of classroom learning and 160 hours of clinical externship, getting hands-on training with administering medications, assisting with minor surgery, obtaining laboratory specimens and other duties. Certified nurse aids provide basic care to residents of long-term care facilities, helping to ensure their comfort and safety. CNA program students complete 60 hours of lectures and labs, and 40 hours of clinical experience with direct patient and client care. Dental assistants prepare patients for treatments and teeth cleanings, sterilize instruments, process oral X-rays and assist dentists during procedures. The 155-hour DA program includes classroom instruction and practical training; students complete a 48-hour clinical rotation in a dental office in the Baytown area. The demand for quality healthcare continues to grow in the Houston-Sugarland-Baytown area, with more than 9,500 new jobs in the medical field expected to open this year alone. The healthcare field accounts for one in every 10 jobs in the region, according to the Greater Houston Partnership. In addition to the CMA, CNA and DA programs, the Center for Workforce and Community Development offers several other fast-track healthcare options. For more information, contact the center at 281.425.6311 or visit www.lee.edu/workforce.